So this weekend I was thinking that I need to do something to my hair to ease my working out and sweating. What I was doing WAS working, but I wanted something that gave me more than 3 or 4 days. 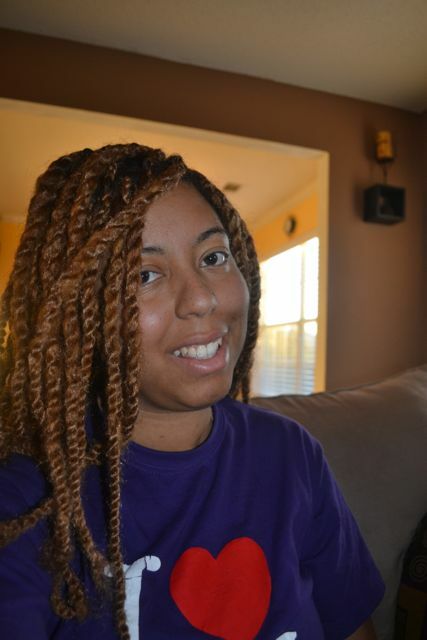 I decided to do twists with Marley Hair. 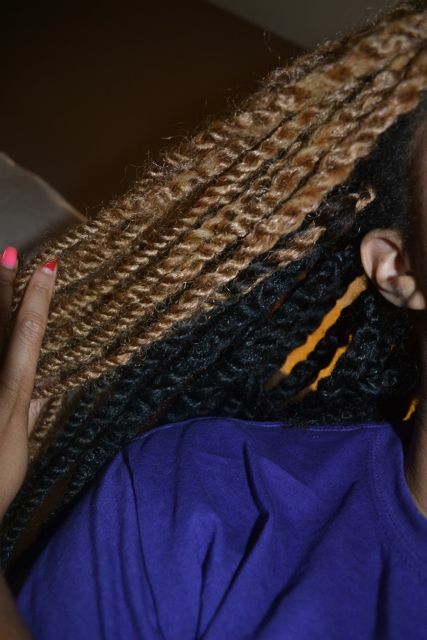 Marley hair is very thick and coarse but resembles the look of natural hair. I purchased 5 packs of hair..three 1B (color- darkest brown) packs and two 27 (color- honey blonde) packs. 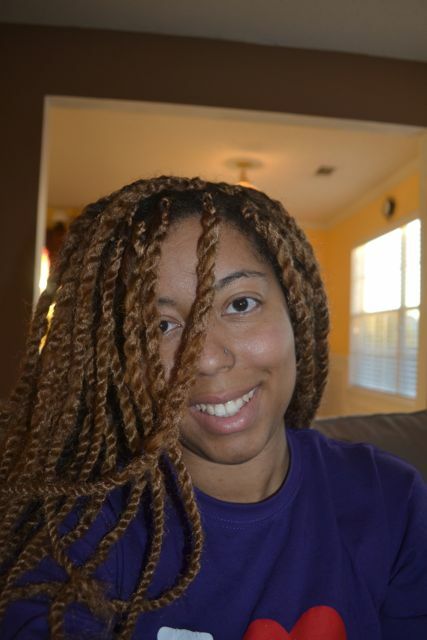 So instead of the twisting the hair at the root and being able to twist all the way down, I just braided for about 5 times and then started the twists so it could stay secure. I just could not figure out an easy way to do it with just twisting, getting it close to the roots, AND making it secure. This is the first time I have used this type of hair. It makes your hair very big. The hair also comes sectioned off in small sections so I used one per section. Some people use 2 or so when they want to do larger twists. I didn’t part the hair with a comb. I just used my fingers and grabbed in random sections. At the end, I dipped the ends in boiling hot water so it would make the hair more flexible. So..they aren’t perfect but it’s my first time and I think it came out pretty well. I will be wearing this in a high bun most of the time. I’m hoping to get at least 2 weeks out of this.